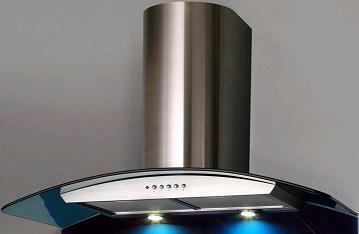 curved blue glass hood made from LuxAir elegantly curved colored glass combined with the polished stainless steel. This blue chimney hood will go nicely with white, yellow, light blue and green colored units, and stainless steel and titanium finishes. 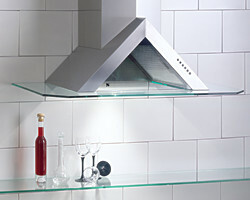 LuxAir curved black glass chimney hood. 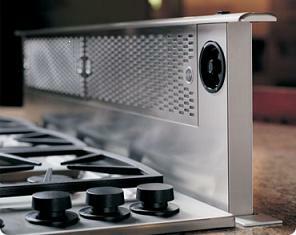 Dacor raised vent will complement any kitchen island and peninsula. 10″ high intake will quickly vent out smoke and cooking fumes. Available in stainless steel, black and arctic white. It’s unique with the distinct design of a open triangular shape. 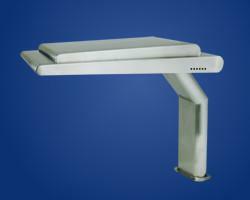 Stainless steel with aluminum finish. Synergy line of cooker hoods offers contemporary elegant design, Staying current with the latest trends in kitchen design, painted aluminium finish applied directly onto the stainless steel shell. Curved or straight edges, slot-less welding, adjustable halogen lamps electronic controls with timer. 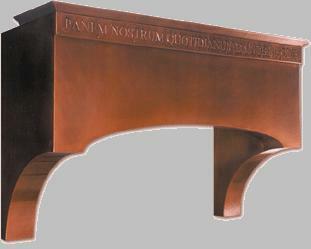 HP Austin copper hoods are handcrafted in Texas.They are made the very same way the copper hoods, each and every copper hood is custom made . Kristen Victor offers custom range hood crafted in curved black glass mounted on ellipse shaped shaft made from stainless steel with brushed finish. Hopefully you have the right kitchen decor for the hood to blend in. Haier chest freezer in elegant black with dual zone controls made a chest freezer to impress .It has two frozen environments with hard and soft-freeze zones. You can store ice cream in the drawer to have it ready for cocktail or shake and keep meat frozen hard in the upper compartment. Perlick freezer offers forced-air ventilation and automatic hot gas defrost,that has vinyl coated racks for storing martini glasses and beer mugs. Other features include commercial-grade stainless steel interior, electronic digital temperature control and display and optional wood overlay door kit to match surrounding cabinetry. Perlick. 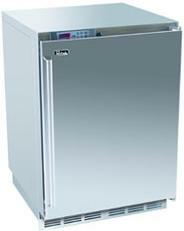 Haier dual zone chest freezer. Aga undercounter refrigerator drawer the refrigerator drawer has a stainless steel interior, full extension slides and unique LED lighting system. 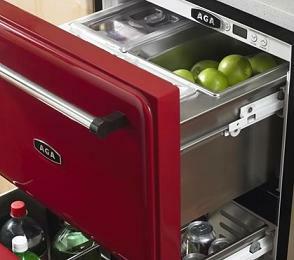 This undercounter refrigerator drawer are stylish contoured doors and full auto defrost. 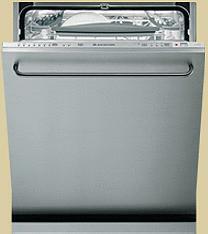 Ariston dishwasher model is the stainless steel integrated dishwasher programme and wash phase indicator lights, built-in water softener indicator light, platinum system rack and baskets and adjustable top rack among other advanced features.